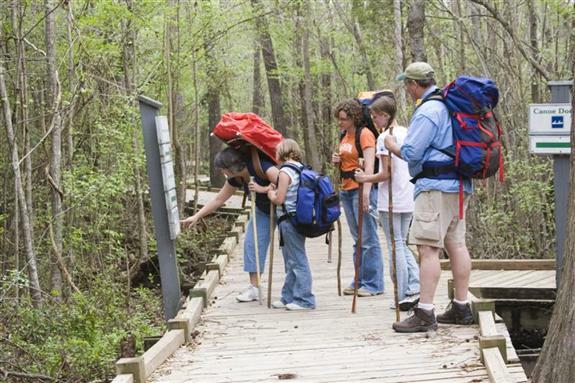 Berkeley County offers exciting and scenic adventures for beginners to advanced hikers. Cyclists and mountain bikers of all levels also enjoy Berkeley County’s beautiful trails and breathtaking landscape. The Palmetto Trail is South Carolina’s largest pedestrian and bicycle trail, running from the sea to the mountains. 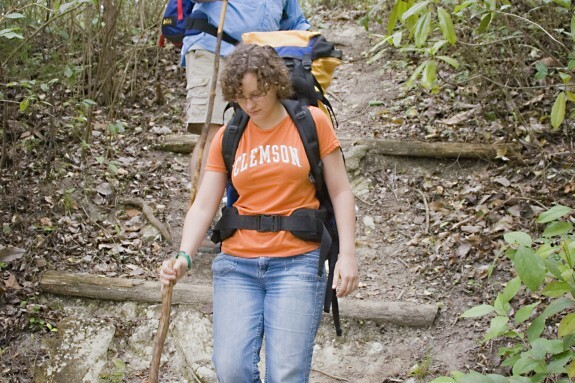 Hikers, cyclists, day campers and equestrians all enjoy adventure along the Palmetto Trail. This massive trail is one of only 16 cross-state trails in the U.S., and it’s earned the distinction of being federally-designated as a Millennium Legacy Trail. 2) the Swamp Fox Passage, which transverses through the Francis Marion National Forest. 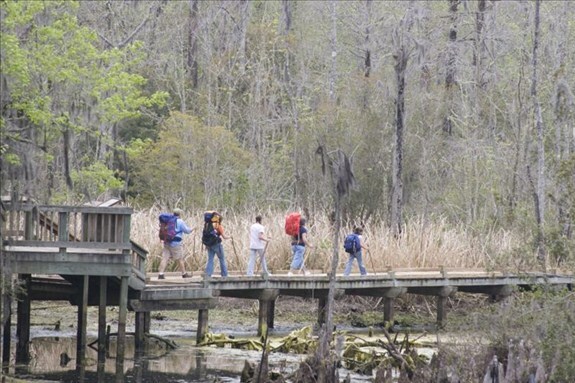 Explore the woods and marshes of the Francis Marion National Forest. 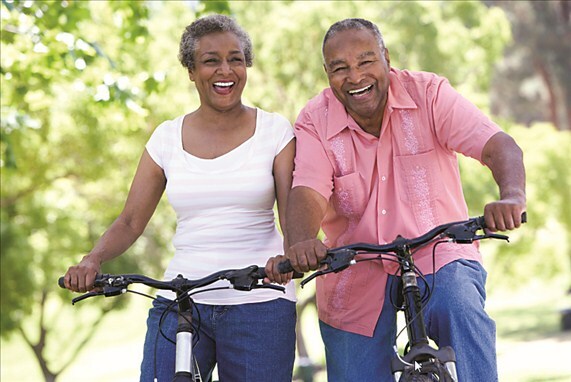 The area features several equestrian, walking, hiking, cycling, and motorcycle trails. The Swamp Fox National Recreation Trail spans four distinct ecosystems and is popular for a wide array of habitats, including mature longleaf pine stands, evergreen shub bogs and bottomland hardwood drains. Enjoy the beauty of carnivorous pitcher plants, meadow beauty flowers and orange millwort. Keep your eye out to spot white-tailed deer, red-cockaded woodpeckers, deer, raccoon, possum, bobcat, alligator, snakes, black bears and wild turkeys. Francis Marion National Forest also includes several interpretive trails, including the two-mile Huger Loop Trail, just outside of Moncks Corner. Cypress Gardens offers 3.5 miles of hiking trails. Explore these trails during different times of the year to catch various wildlife and blooms. 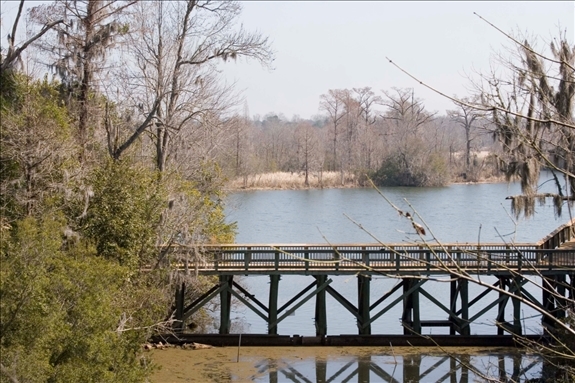 Old Santee Canal Park features four miles of boardwalk which takes visitors through deep woods and near the Old Santee Canal, and the Canal bed at Biggins Swamp.